On the Monday following a big football game, fans of the losing team seem to load up on saturated fats and sugars, whereas supporters of the winning team opt for healthier foods, according to new research published in Psychological Science, a journal of the Association for Psychological Science. “Although prior studies had shown that sport outcomes influence reckless driving, heart attacks, and even domestic violence, no one had examined how they influence eating,” says Yann Cornil, researcher at INSEAD Business School and lead author of the study. By comparing the outcomes from two seasons’ worth of NFL games with people’s food consumption in over two dozen cities, Cornil and INSEAD professor Pierre Chandon were able to determine the amounts and types of food consumed after victories and losses. “The data also allowed us to look at people living in cities without an NFL team or with a team that didn’t play on that particular day, providing us with two control samples,” Cornil and Chandon explain. 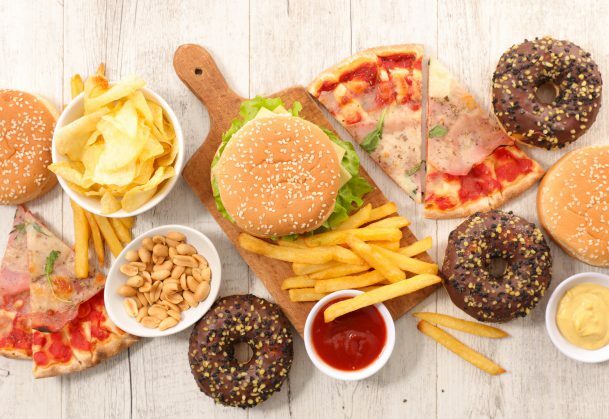 Overall, they found that people in cities with a losing football team ate about 16% more saturated fat compared to their usual Monday consumption. People in cities with a winning football team, on the other hand, ate about 9% less saturated fat compared to their usual consumption. These trends held even when people who weren’t football fans were included in the sample, and the trends were particularly noticeable when a game came down to the wire. The researchers hypothesized that, when a favorite team loses, people feel an identity threat and are more likely to use eating as a coping mechanism. Winning, on the other hand, seems to provide a boost to people’s self control. To test these associations experimentally, the researchers asked a group of French participants to write about a time when their favorite team lost or won. In a later, seemingly unrelated task, the people who wrote about their team losing opted to eat chips and candy over healthier grapes and tomatoes. The group who wrote about winning, on the other hand, preferred the healthier options. So what does this mean for all those fervent fans who root for teams that don’t exactly have a winning record? The researchers are continuing to investigate factors that influence people’s eating behavior even if they’re not aware of them, particularly those factors that are under the control of food marketers, like package design and food claims.